Slots O'Gold Megaways slot is another example of Blueprint Gaming overlaying one of their existing themes with the Megaways mechanic they licensed from Big Time Gaming. 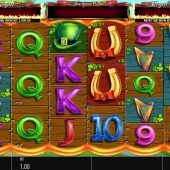 They have done this already with Genie Jackpots Megaways, Irish Riches Megaways and Legacy of Ra Megaways so the game holds no real surprises with its regulation Irish stereotype icons and fiddle music, along with the obligatory leprechaun. Let's see if Slots O'Gold can mean pots of gold for our bankroll. We don't get replacement symbol cascades after wins as is the case with many Megaways games like Bonanza and Diamond Mine, but in keeping with the mechanic Slots O'Gold does offer us vary reel rows over the 6 reels, a maximum of 5 rows each therefore any spin can offer 64-15,625 ways to win. The 6-of-a-kinds are 50x for the Gold Pots, 10x bet for the Green Hat, 2x Harp or Horseshoe and either 1.5 or 1x for the six card values. No scatters here but we do occasionally see the game logo appear anywhere on the grid and if this occurs, the tiles all reveal the same mystery symbol which may or may not give you a win. The Wilds are really where this game is at, especially as Slots O'Gold Megaways pays right-to-left too. If you see the Leprechaun land anywhere in view on any of the centre 4 reels it becomes an expanding Wild which can offer a multiplier of 2,3,4 or 5x. 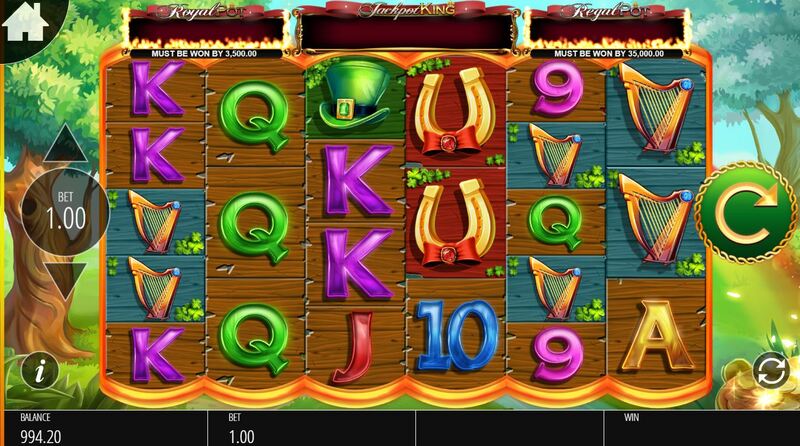 You are paid for any wins and then the reel and multiplier holds for a free respin. Should another appear, then this happens again. If you got the 4 Wild reels one at a time, this means a maximum of 4 respins. Given that you could theoretically see 5x on each, that's a possible 625x multiplier, so imagine the top 50x symbol on both end reels!